What causes tides to rise and fall? How do oil spills affect ocean animals? Now you can discover the answers to these and many other fascinating questions about the ocean--the earth's last frontier. 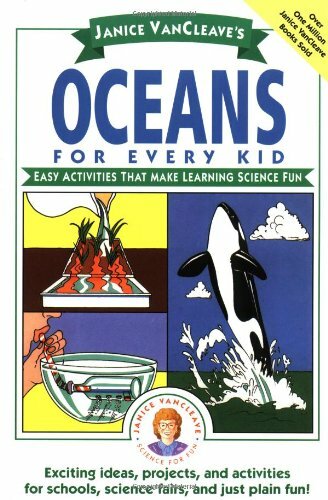 Janice VanCleave's Oceans for Every Kid makes learning about the ocean and its inhabitants an intriguing adventure. Use a bottle, pennies, a straw, and clay to demonstrate how submarines rise. Make your own wave holder with index cards and a plastic folder. 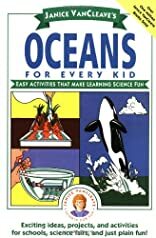 Through these and other activities you'll find out how fish move up and down in water, how pollutants move into the ocean, how to navigate without a compass, how to map the surface of the ocean floor, and much more. Each of the activities begins with a statement of purpose followed by a list of materials, step-by-step instructions, expected results, and an easy- to-understand explanation. Every activity has been pretested and can be performed safely and inexpensively at home or in the classroom.